Describe several novel pharmacy practices that boards of pharmacy and schools and colleges of pharmacy have implemented to further educate and protect public health. Explain several ways that teamwork in pharmacy innovation and education can increase public protection. Providing the opportunity to interact with presenters and fellow attendees, the annual Educational Poster Session also offers an opportunity to earn CPE credit. Board of pharmacy and school and college of pharmacy representatives will present various poster displays related to “teamwork” to educate on new pharmacy practices in furtherance of protecting the public health. CPE is earned through interactive participation with presenters for one hour during the two-hour offering and by completing and passing a post-session test. Compare and contrast how various regulatory agencies respond to concerns in the practice of pharmacy. Identify gaps in regulatory oversight. Discuss potential solutions to the unique challenges state boards of pharmacy face in the changing regulatory environment and the practice of pharmacy. This interactive activity will include discussion on regulatory issues that were submitted for the 2018 Interactive Executive Officer Forum and the 2018 Interactive Member Forum that have yet to be addressed. This format will provide participants with the unique opportunity to share insights and knowledge valuable to the boards’ work and provide an environment in which attendees may work together to develop solutions to the challenges boards face. Describe how artificial intelligence (AI) is currently being used in the health care setting. Explain several possible new uses for AI that can be used to improve patient care. Identify regulatory issues related to AI. As machines are designed to complete an increasing number of human tasks, how can artificial intelligence (AI), which is the creation of intelligent machines that work and react like humans, affect the practice of pharmacy? Can AI that includes speech recognition, learning, planning, and problem solving assist the health care team in improving patient care? And how is AI being regulated in the health care setting? Attendees will hear from an expert in the field as to what types of AI are currently being used in the health care setting as well as what the future possibly holds. Explain how standards of care are used by boards of medicine and nursing. Describe why expert testimony is relied upon in a standards of care-based regulatory model. Discuss the role of specialists and/or specialty boards in developing standards of care for regulating the practice of pharmacy. As pharmacist care evolves, so will its regulation. In some cases, evolving patient services, such as pharmacist prescriptive authority, will be subject to standards of care-based regulatory models similar to those traditionally used by nursing and medicine. It is therefore necessary for boards of pharmacy to develop a new approach to regulate the expanding scope of pharmacist practice to protect the public. Participants will learn from a case-based scenario how other health care regulators rely on expert testimony and practice standards established by specialists and/or specialty boards using standards of care-based regulations, and how these models may be used in developing new standards of care for pharmacy. Participants may earn up to 4.5 contact hours (0.45 continuing education units) of knowledge-based Accreditation Council for Pharmacy Education (ACPE)-accredited continuing pharmacy education (CPE) credit. To earn ACPE-accredited CPE for an activity hosted by NABP, participants must be registered as an attendee (not as a guest), attend the activity in its entirety, answer the self-assessment questions provided by the speakers and presenters during presentations, and submit a CPE activity code online using the NABP CPE submission site. To obtain CPE credit, participants must also complete activity and speaker evaluations. For the Educational Poster Session, participants will be required to complete the session evaluation and pass a post-session assessment with a score of 70% or higher. For your convenience, activity and speaker evaluation questions are provided on the CPE Activity Code Log page of the hard copy program booklet. Participants will be prompted to complete the evaluations and, if applicable, assessment when they submit the activity code(s) online. Participants must claim their credit after completing all the steps. Participants will be required to submit their NABP e-Profile ID and date of birth (MMDD). The activity codes will be provided to you during each activity. For the Educational Poster Session, participants will receive a copy of self-assessment questions upon arrival with instructions on how to obtain the CPE activity code. Be sure to obtain answers to all self-assessment questions while in attendance at the poster session in order to pass the post-session assessment. All CPE submissions must be submitted and claimed online within 60 days from the first CPE activity of the meeting (no later than Monday, July 15, 2019, 8 AM CDT). If you do not submit your CPE claim within 60 days of the date you completed the CPE activity, you will be unable to receive credit, as this is the maximum amount of time allowed for providers to transmit CPE claims to ACPE for credit. Please submit your claim as soon as possible to ensure that you receive credit. Overrides will not be provided to participants who do not complete all of the steps in the claims process within the 60-day window. Once submitted and claimed, credit earned will be displayed in the CPE Monitor® section of your NABP e-Profile. CPE Monitor statements of credit will also be available for printing online. 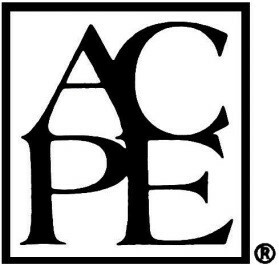 NABP and NABP Foundation® are accredited by ACPE as providers of CPE. Contact NABP Professional Affairs staff at 847/391-4406 or via email at Prof-Affairs@nabp.pharmacy for more details about CPE activities and instructions for possibly obtaining continuing legal education credits.